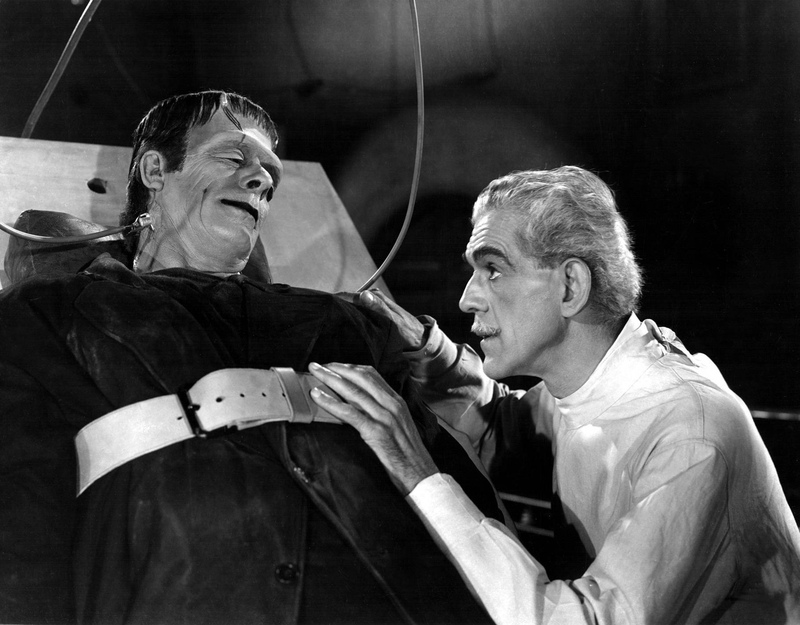 Let Dr. Frankenstein’s sin serve as a parable for political ecology. At a time when science, technology, and demography make clear that we can never separate ourselves from the nonhuman world — that we, our technologies, and nature can no more be disentangled than we can remember the distinction between Dr. Frankenstein and his monster — this is the moment chosen by millions of well-meaning souls to flagellate themselves for their earlier aspiration to dominion, to repent for their past hubris, to look for ways of diminishing the numbers of their fellow humans, and to swear to make their footprints invisible? What, then, should be the work of political ecology? It is, I believe, to modernize modernization, to borrow an expression proposed by Ulrich Beck. (5) ?This challenge demands more of us than simply embracing technology and innovation. It requires exchanging the modernist notion of modernity for what I have called a “compositionist” one that sees the process of human development as neither liberation from Nature nor as a fall from it, but rather as a process of becoming ever-more attached to, and intimate with, a panoply of nonhuman natures. Everyday in our newspapers we read about more entanglements of all those things that were once imagined to be separable — science, morality, religion, law, technology, finance, and politics. But these things are tangled up together everywhere: in the Intergovernmental Panel on Climate Change, in the space shuttle, and in the Fukushima nuclear power plant. The notion of the past as an archaic and dangerous confusion arises directly from giving Science this role. A modernist, in this great narrative, is the one who expects from Science the revelation that Nature will finally be visible through the veils of subjectivity — and subjection — that hid it from our ancestors. And here has been the great failure of political ecology. Just when all of the human and nonhuman associations are finally coming to the center of our consciousness, when science and nature and technology and politics become so confused and mixed up as to be impossible to untangle, just as these associations are beginning to be shaped in our political arenas and are triggering our most personal and deepest emotions, this is when a new apartheid is declared: leave Nature alone and let the humans retreat — as the English did on the beaches of Dunkirk in the 1940s. Just at the moment when this fabulous dissonance inherent in the modernist project between what modernists say (emancipation from all attachments!) and what they do (create ever-more attachments!) is becoming apparent to all, along come those alleging to speak for Nature to say the problem lies in the violations and imbroglios — the attachments! To succeed, an ecological politics must manage to be at least as powerful as the modernizing story of emancipation without imagining that we are emancipating ourselves from Nature. What the emancipation narrative points to as proof of increasing human mastery over and freedom from Nature — agriculture, fossil energy, technology — can be redescribed as the increasing attachments between things and people at an ever-expanding scale. If the older narratives imagined humans either fell from Nature or freed themselves from it, the compositionist narrative describes our ever-increasing degree of intimacy with the new natures we are constantly creating. Only “out of Nature” may ecological politics start again and anew. But if the originators are true modernists, they will see the return of “the environment” as incomprehensible since they believed they were finally free of it. The return of consequences, like global warming, is taken as a contradiction, or even as a monstrosity, which it is, of course, but only according to the modernist’s narrative of emancipation. In the compositionist’s narrative of attachments, unintended consequences are quite normal — indeed, the most expected things on earth! Environmentalists, in the American sense of the word, never managed to extract themselves from the contradiction that the environment is precisely not “what lies beyond and should be left alone” — this was the contrary, the view of their worst enemies! The environment is exactly what should be even more managed, taken up, cared for, stewarded, in brief, integrated and internalized in the very fabric of the polity. Those who wish to protect natural ecosystems learn, to their stupefaction, that they have to work harder and harder — that is, to intervene even more, at always greater levels of detail, with ever more subtle care — to keep them “natural enough” for Nature-intoxicated tourists to remain happy. Not surprisingly, the enemies of the precautionary principle — which President Chirac enshrined in the French Constitution as if the French, having indulged so much in rationalism, had to be protected against it by the highest legal pronouncements — took it as proof that no action was possible any more. As good modernists, they claimed that if you had to take so many precautions in advance, to anticipate so many risks, to include the unexpected consequences even before they arrived, and worse, to be responsible for them, then it was a plea for impotence, despondency, and despair. The only way to innovate, they claimed, is to bounce forward, blissfully ignorant of the consequences or at least unconcerned by what lies outside your range of action. Their opponents largely agreed. Modernist environmentalists argued that the principle of precaution dictated no action, no new technology, no intervention unless it could be proven with certainty that no harm would result. Modernists we were, modernists we shall be! But for its postenvironmental supporters (of which I am one) the principle of precaution, properly understood, is exactly the change of zeitgeist needed: not a principle of abstention — as many have come to see it — but a change in the way any action is considered, a deep tidal change in the linkage modernism established between science and politics. From now on, thanks to this principle, unexpected consequences are attached to their initiators and have to be followed through all the way. The link between technology and theology hinges on the notion of mastery. Descartes exclaimed that we should be “maîtres et possesseurs de la nature.”(10) But what does it mean to be a master? In the modernist narrative, mastery was supposed to require such total dominance by the master that he was emancipated entirely from any care and worry. This is the myth about mastery that was used to describe the technical, scientific, and economic dominion of Man over Nature. If God has not abandoned His Creation and has sent His Son to redeem it, why do you, a human, a creature, believe that you can invent, innovate, and proliferate — and then flee away in horror from what you have committed? Oh, you the hypocrite who confesses of one sin to hide a much graver, mortal one! Has God fled in horror after what humans made of His Creation? Then have at least the same forbearance that He has. Which God and which Creation should we be for, knowing that, contrary to Dr. Frankenstein, we cannot suddenly stop being involved and “go home?” Incarnated we are, incarnated we will be. In spite of a centuries-old misdirected metaphor, we should, without any blasphemy, reverse the Scripture and exclaim: “What good is it for a man to gain his soul yet forfeit the whole world?”. 1.Polidori, John, et al. 1819. The Vampyre: A Tale. Printed for Sherwood, Neely, and Jones. 2.Shelley, Mary W., 1823. Frankenstein: Or, The Modern Prometheus. Printed for G. and W.B. Whittaker. 4.This is also the theme of: Latour, Bruno. 1996. Aramis or the Love of Technology. Translated by Catherine Porter. Cambridge, Mass: Harvard University Press. 5.Beck, Ulrich. 1992. Risk Society: Towards a New Modernity. London: Sage. 6.Nordhaus, Ted, and Michael Shellenberger. 2007. Break Through: From the Death of Environmentalism to the Politics of Possibility. Boston: Houghton Mifflin Harcourt. 7.Descola, Philippe. 2005. Par dela nature et culture. Paris: Gallimard. 8.Sadeleer, Nicolas de, 2006. Implementing the Precautionary Principle: Approaches from Nordic Countries and the EU. Earthscan Publ. Ltd.
9.Hermitte, Marie-Angele. 1996. Le Sang Et Le Droit. Essai Sur La Transfusion Sanguine. Paris: Le Seuil. 10.Descartes, Rene. 1637. Discourse on Method in Discourse on Method and Related Writings. Translated by Desmond M. Clark. 1999. Part 6, 44. New York: Penguin. This entry was posted in Commentary and tagged Bruno Latour, ecology. Bookmark the permalink.